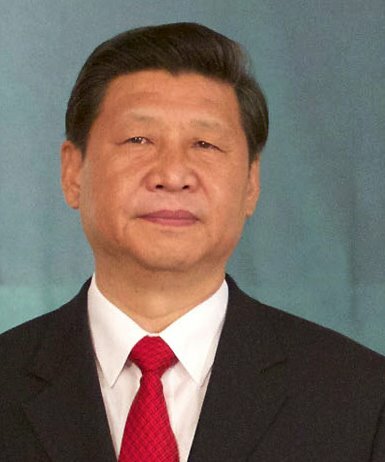 Does China Even Want To Be a Great Power? For all the talk of China’s emergence as a great power, Beijing’s global restraint continues. Earlier this month, Tsinghua University in Beijing held a major peace summit. Retired leaders from across the world descended on Beijing. One of the scheduled speakers was “former” Australian Prime Minister Kevin Rudd. However, just as the conference was beginning, Mr. Rudd was reassuming his old position and therefore unable to attend. Lurking behind conferences like these in contemporary China is some sense of an act of affirmation or validation going on. There is a concept, of a peaceful, constructive emerging power which wishes to be everyone’s friend. But every now and then something sharp comes through all the rhetorical fluff. For his first major speech to an international audience on foreign policy issues, Foreign Minister Wang Yi simply responded to a question about the maritime disputes with the iteration that “China cannot, and will not, change its stance on these issues.” This begged the question therefore of if it is really possible to resolve the current problems in the South and East China Sea. As ever with these summits of affirmation, which perform more a semi-religious than any kind of intellectual function, the real value was in discussions away from the sound and fury of the central stage. An African delegate was sitting next to me at dinner on the first night. What did he make of this effort and messaging about China’s peaceful emergence? It was easy, he said. For the first time in centuries, a new power was rising with values and a political system that were different from most others. It wasn’t taking any hard, military route for dominance. It wasn’t even aiming for dominance. It was staking out its key interests in a subtle, gradual way. Furthermore, despite the fact that it was regarded with suspicion, it had many internal challenges, and its international strategic space was highly circumscribed. Surely, the African delegate concluded, this was something we should support. We couldn’t expect the American imperium to last forever, and better it slowly resolve itself this way than implode, or end in conflict. Those were forceful points, and the world “subtle” captured something important. A China which had diplomats making powerful, intention driven declarations about global affairs that strayed from the “win win” and preserving the global status quo narratives would be a problem. Public and elite opinion in most Western democracies at the moment would be unprepared for this. In their hearts, even a politician as knowledgeable about China as Mr. Rudd would probably find that hard to deal with. Best give time for people to slowly get familiar with this new kid on the block, and leave the big decision moments about what its true global role might be to the future. Even in this context, the demands for China’s diplomatic attention are coming thick and fast. Iran, Syria, the Snowden affair, and the ongoing disputes with the Philippines and others over maritime borders, are all straining the win-win narrative. The harsh fact too is that even over an issue where it has such overwhelming influence and leverage as North Korea, China has shown itself mostly impotent. This is an uncomfortable reality, simply because the explanation until quite recently that China was biding its time and simply waiting till it really wanted to act is quickly being eroded as Pyongyang edges ever closer to nuclearization. The DPRK may well demonstrate what many observers suspect; namely, that China is content with its subtle emergence, but existentially unwilling and unlikely to look far beyond its own horizons to the outside world. We may well find that in the future, far from panicking about the moment when China begins to flex its global muscles, we are left wanting it to act more decisively in global affairs. And that will mean that conferences of affirmation for nice sounding empty rhetoric and inaction like the one in Tsinghua will be occurring long into the future. Kerry Brown is Professor of Chinese Politics, and Director of the China Studies Centre at the University of Sydney.